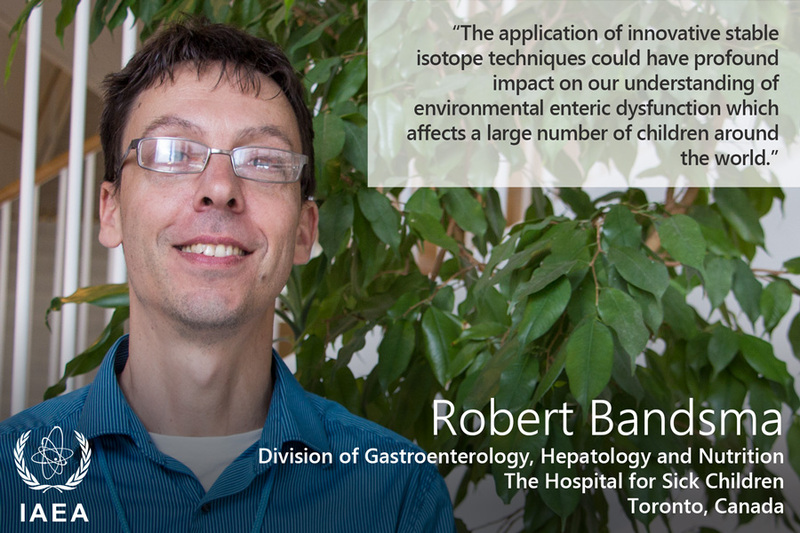 International experts converged in Vienna last week to design a ground breaking coordinated research project to address environmental enteric dysfunction (EED) and its impact on child growth. Retarded linear growth, widely referred to as stunting, is rampant in low and middle-income countries, affecting a total of 159 million children under the age of five years. 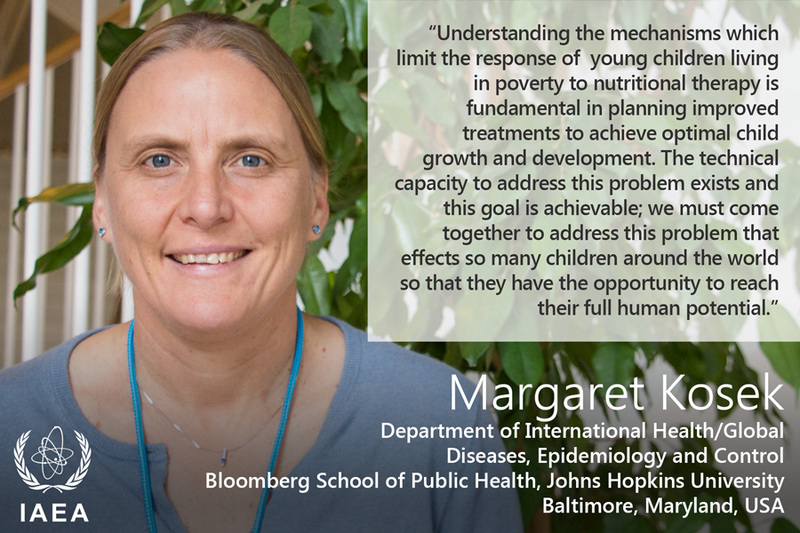 The consequences of stunting include increased infant and child mortality and morbidity; increased risk of overweight, obesity and non-communicable diseases later in life; and low psychomotor development and lost economic potential. Living in poor sanitary conditions may induce gut dysfunction, referred to as environmental enteric dysfunction. EED is thought to be associated with at least 50% of stunting. The technical meeting on EED organized and hosted by the International Atomic Energy Agency (IAEA) in Vienna in October 2015 identified gaps including the need for a clear classification and understanding of causal pathways underpinning EED. The meeting recommended the development of practical, simple and affordable tools to diagnose and characterize EED to allow better targeting of interventions in vulnerable populations. Stable isotope techniques were recommended for the assessment of absorptive capacity/permeability of the gut, bacterial translocation and body composition. 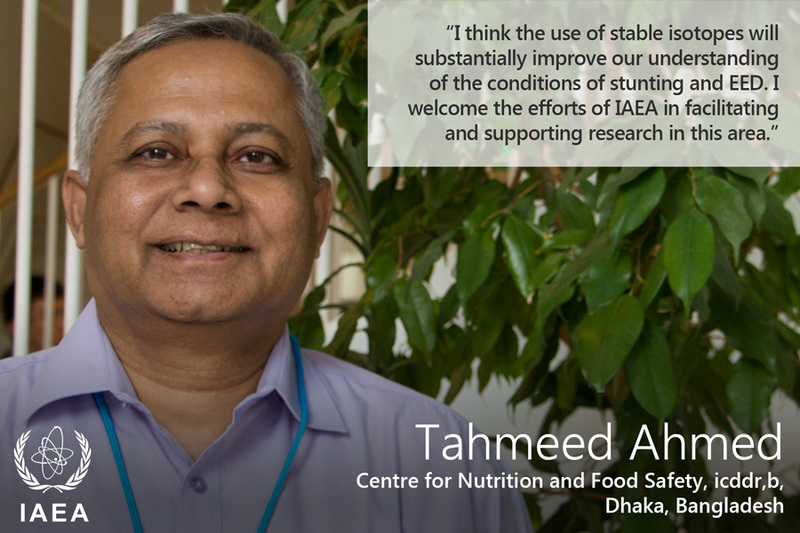 The IAEA hosted a follow up technical meeting from 31 May-3 June 2016 during which 15 experts from research and academic institutions, the Bill and Melinda Gates Foundation and IAEA Technical Officers from Nutritional and Health Related Environmental Studies Section discussed the design of a new coordinated research project (CRP) aimed to foster the use of stable isotopes in the assessment of EED. 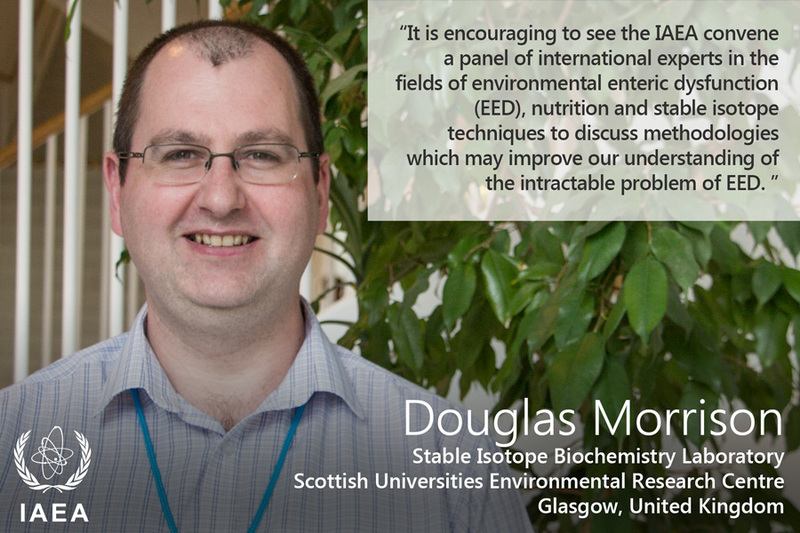 The experts identified three priority areas where stable isotope techniques may initially be used in addressing EED: 1) Dietary intake - direct measure of food intake combined with stable isotope measure of breast milk intake - followed by assessment of nutrient absorption and metabolism; 2) Tracking of microbial translocation through the intestinal epithelial membrane and measuring attendant inflammatory activity; 3) Measurement of how the human host responds to EED in terms of hormonal changes linked to growth and the risk for non-communicable diseases. A number of research questions were generated and prioritised to be addressed in the CRP. The meeting also identified the water, assets, maternal education and income index (WAMI) as an interim option for classifying individuals on a scale of risk for EED as a more objective clinical case definition is sought.